Galaxy TQ, Torquay played host and sponsor of ‘The Billiards Open’. This West of England Billiards & Snooker Foundation (WEBSF) tournament is in memory of Bryan ‘Pops’ Canniford, an avid supporter of the WEBSF. English Billiards players will travel long distances to play this very skilful, and some say artistic game and this event was no exception. Players arrived from around the south and southwest region as well as a player from Jersey that happened to be visiting family in Cornwall. After six, forty minute rounds in the round robin stage the top eight ranked players qualified to play in the main knock-out stage, the rest played in the plate. There were four favourites that emerged from the early encounters, these were, in ranking order; Ryan Mears from Hampshire who was undefeated and posted breaks of 52,58,71,80 & 118; Graham Ward from Devon who struggled to surpass the 50 break mark but won with consistent scoring with each visit to the table; Steve Brookshaw (Plymouth), the current holder, also struggled to develop several small breaks into larger ones and finally Chris Coumbe (Plymouth), who like Mears looked in fine break building form with runs of 50,51,52,57,62,65 & 101. The quarter finals were seeded based on the results from the round robin stage and first up was Ryan Mears against Geoff Lingard (Cornwall). Games remained at forty minutes and it was Mears that progressed into the semi-final with breaks of 60 & 70. Chris Coumbe failed to bring his early break building form to the table against seasoned billiard player, Brian Harvey from Somerset. Harvey winning through to join Mears. In the lower half of the quarters Brookshaw made a 58 break to beat Michael White from Somerset whilst, Ward (53 break) beat Roy Jenkins (Somerset). The Semi-finalists produce some of the best billiards of the day; Ryan Mears made breaks of 43 & 129 to beat Brian Harvey and Steve Brookshaw made a 63 and a superb 150 break, that took the highest break prize, against Graham Ward. With Mears, having played consistently well all day and Brookshaw finding some form as the tournament progressed, the final promised much. However, in comparison to the semi-finals the rate of scoring was more constrained. Brookshaw having gained an early lead, with the help of a fine, top-of-the-table, 79 break, maintained the points gap with small runs and some well-played strategic safety play. With the clock running down Mears had very few opportunities to get into the break building form he had shown throughout the day, leaving Brookshaw to retain the title that he won last year. The plate final was contested between Mick Kunzi from Southampton and Martin Phillips (Corsham) after Kunzi beat Ray Mears and Phillips beat Gaye Jones in the semi-finals. Kunzi eventually ran out the winner in a closely fought final. The next WEBSF English Billiards event is West of England Billiards Open which will take place on the 23rd February 2019 at Jesters, Swindon, all amateur players are welcome. For anyone wanting to learn more about English Billiards or Snooker, the WEBSF will be returning to the Galaxy TQ on the 27th April 2019 to provide free coaching and advice. Details of this and two other coaching events; Exeter Snooker Club on the 24th November 2018 and Frames Snooker & Pool club, Weston Super mare on the 19th January 2019 can be found on the WEBSF website.” Thanks to The Galaxy TQ, Torquay who hosted and sponsored this event and volunteer referee David Cook who kept order throughout the day. 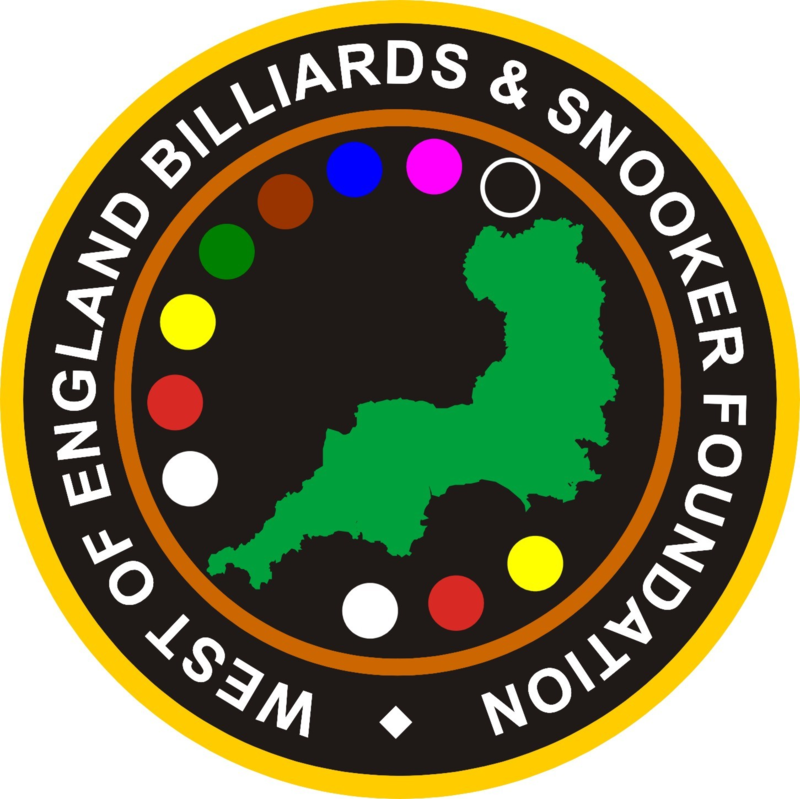 Anyone interested in entering WEBSF Billiards and Snooker tournaments or maybe would like to become a WEBSF volunteer should contact Steve Canniford, Mobile 07891940995 or visit websfsnooker.com or WEBSF Facebook.